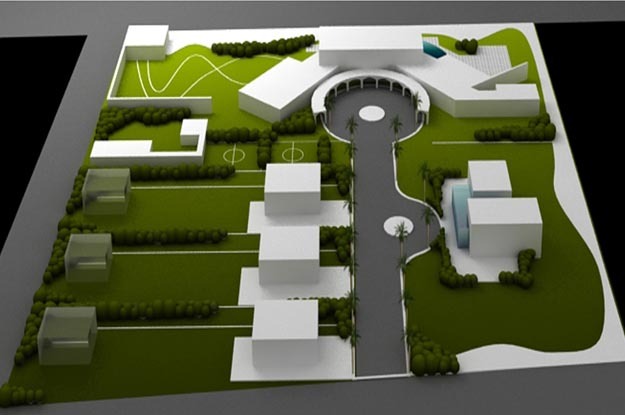 The design concept of this school was based on placing all classes around 3 courts, first phase has a triangle court and second phase is a square one. while third phase is a huge rectangle one. Under the dome is a double height library, as well as the main entrance. 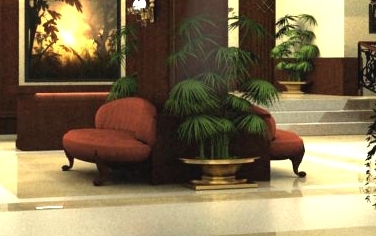 The front arcade columns are extended with palms maintaining the same columns grid. Respecting Nature and the existing Light house, the new hotel was designed to cover the existing terrain with the rooms as a net covering it. 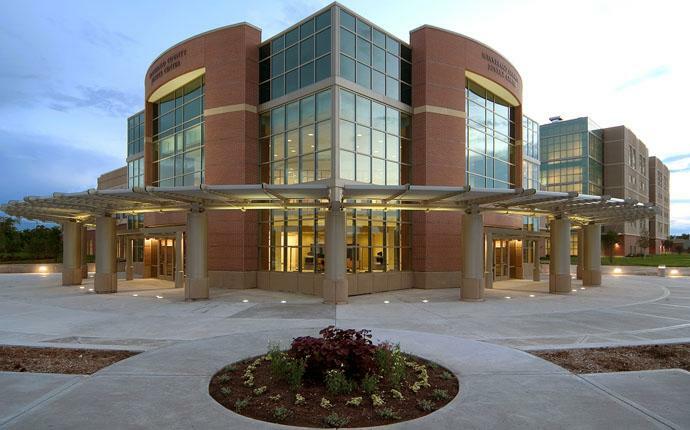 The facility was designed by the Des Moines, Iowa-based Durrant Group Inc., along with the local firms of PG Architecture and the “ Shalalat Group, architects”, Larson & Darby, Stewart design Associates, Inc., Mark Goldman & Associates and Thomason Clark Group. 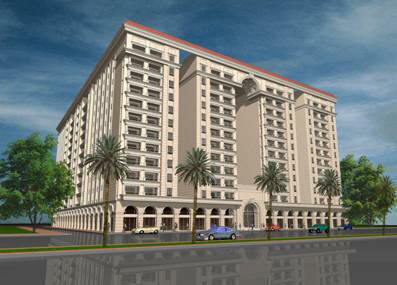 The first residential building in Alexandria to house a heated pool and Gym. 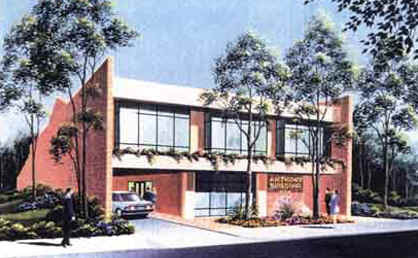 The elevations reflects the space use; residential, services, commercial. 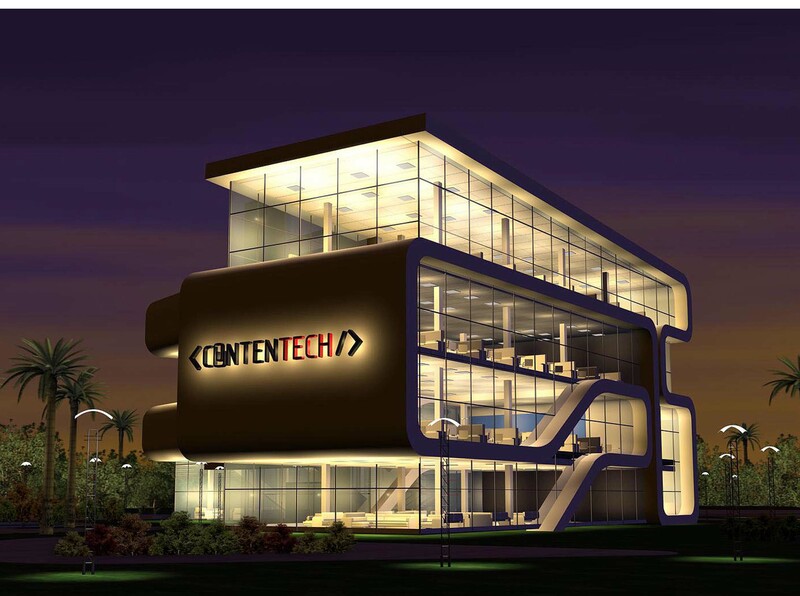 This Design Won a first prize through an invited competition A 4 Story Office Building with parking underground. 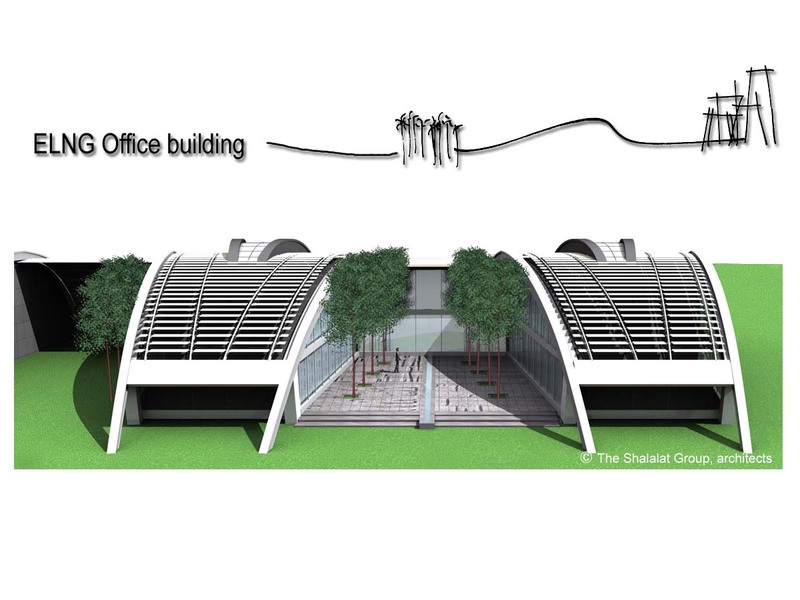 The building is oriented towards the north direction to prevent sun from entering the work space. A simple modern interiors concept. Emphasizing on the students art works to dominate the school spirit. 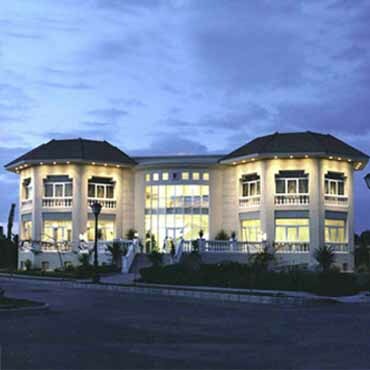 A Mental Health Hospital intended to look like a residential palace to provide a comfort relaxing environment to its patients. Mr Habbak was a member of the winning design team " Snohetta" The competition had over 1,400 entrants representing 77 countries. The jury was composed of 9 distinguished architects and librarians from all over the world. A 3 story mall, with underground parking. The shops are surrounding a huge atrium with panorama elevators and escalators. 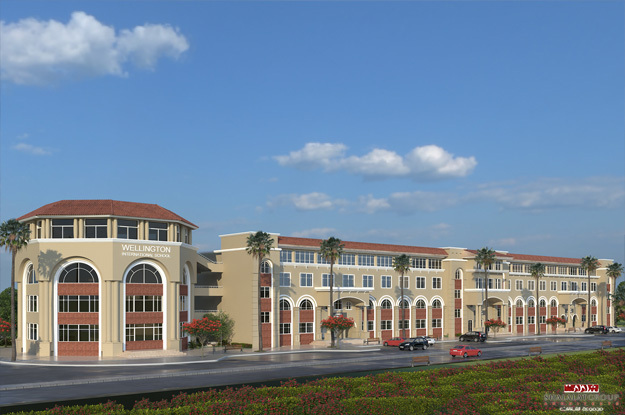 A well-established international school, A Mediterranean style based design, the school Hosts 2 play fields, a pool, a theatre, and fully equipped labs. 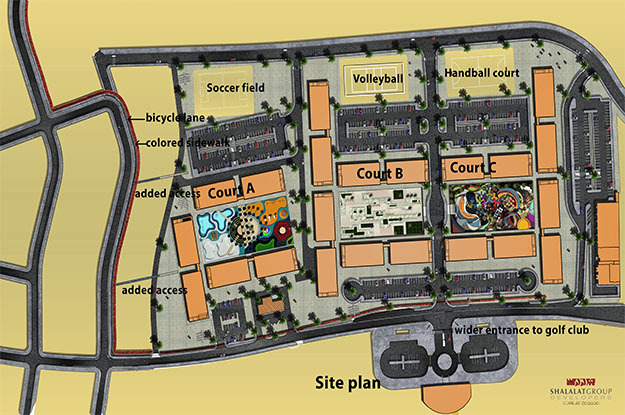 The courts are designed to create a recreational space for the residents of the compound. It’s split over 3 parts; each provides relaxing spaces for group activities and entertainment. 12 Classes are clearly reflected at the elevations, 4 Towers at 3 levels, with services in between, connecting the towers. The Hexagonal building is tilted to face Mecca. 4 Exit Gates for easy and safe exit. The Palms at the court is placed according to the praying grid to guide the prayers lines. 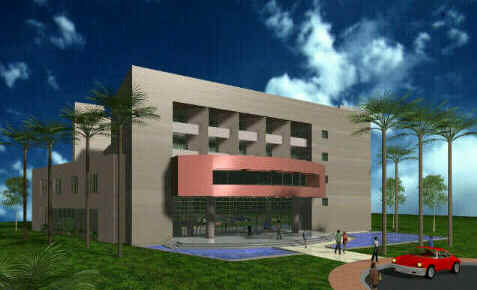 A 2 story mall, with underground parking, and administrative offices on the 3rd level. The shops are surrounding a huge atrium with panorama elevators and escalators. Egyptian Liquefied Natural Gas Building E.L.N.G. Egyptian Liquefied Natural Gas A very special 2 story Green office building designed to withstand a 0.4 Bar pressure due to blasts from the factory behind it. Also able to repeat this module for future expansions. All rooms has a sea view as the Hotel is designed to be single loaded rooms. 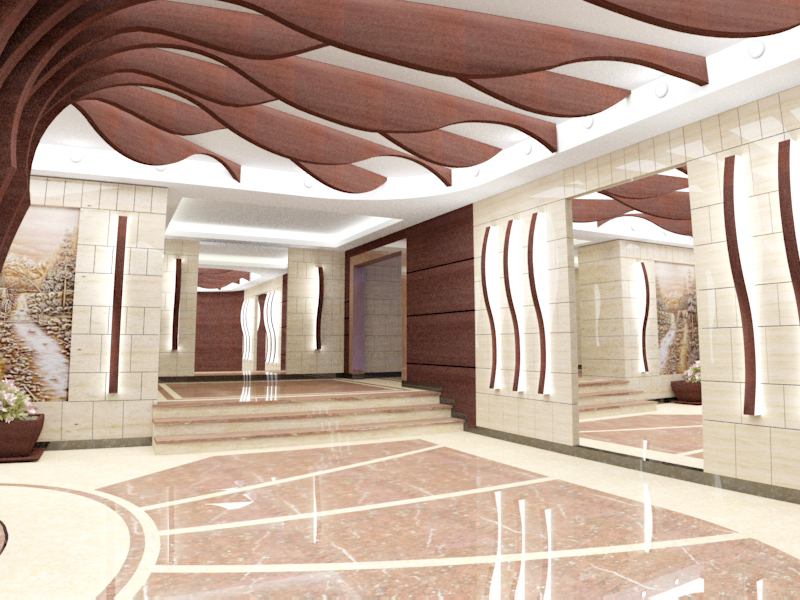 A commercial / Entertainment walk way at the ground level. As well as a roof top cafeteria extended all the way to the water front. allowing people to interact with the Sea. 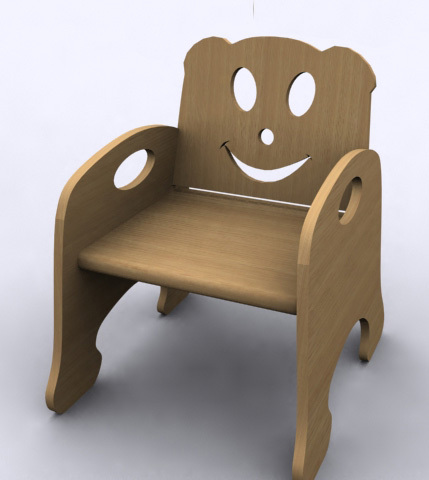 A custom designed chair and tables for classes, linoleum special design floors for each class. 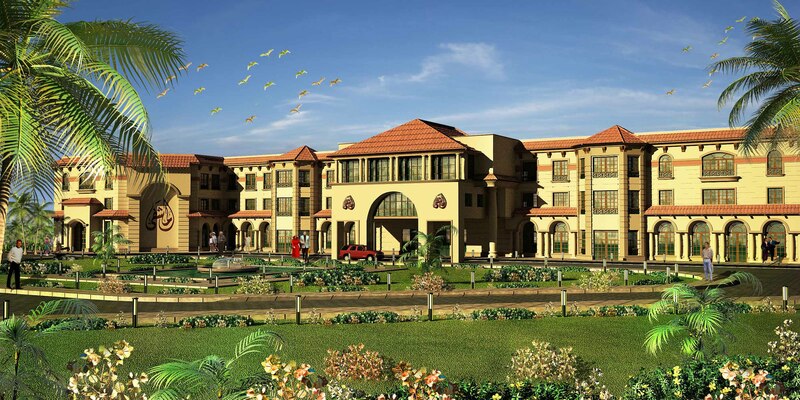 The school design concept is based on new Islamic Architecture concept. All buildings are surrounding 2 square courts, providing shade at the courts at all times. Modern wood arabesque shaped at the south elevations, while having open glass spaces on the North. A vaulted corridor with glass blocks at the last level to provide light at day time. The school is handicap accessible all over. An open amphitheater at the end of a walkway with play grounds on both sides. Wood pergola class rooms at the garden, providing a new open class concept. The Mall is 3 story building and underground parking. 2 levels are commercial and the 3rd level is administrative. A main Plaza in front of the mall with a fountain and sitting area. 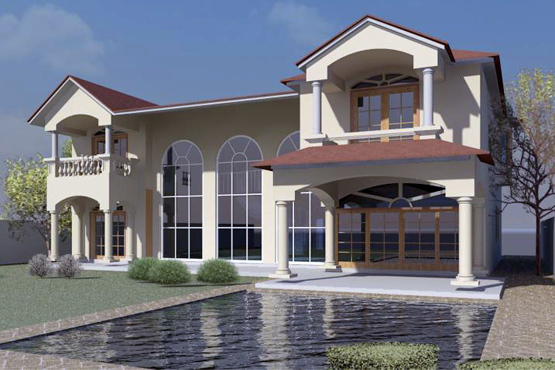 This symmetric design houses a squash court, gymnasium, administration rooms, restaurant, billiard room and a TV room. At the entrance, a spiral stairs connects and invites the visitors to enjoy all the activities of the clubhouse. 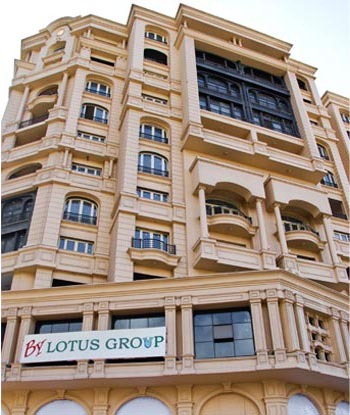 This building serves all the 39 houses in the lotus compound. 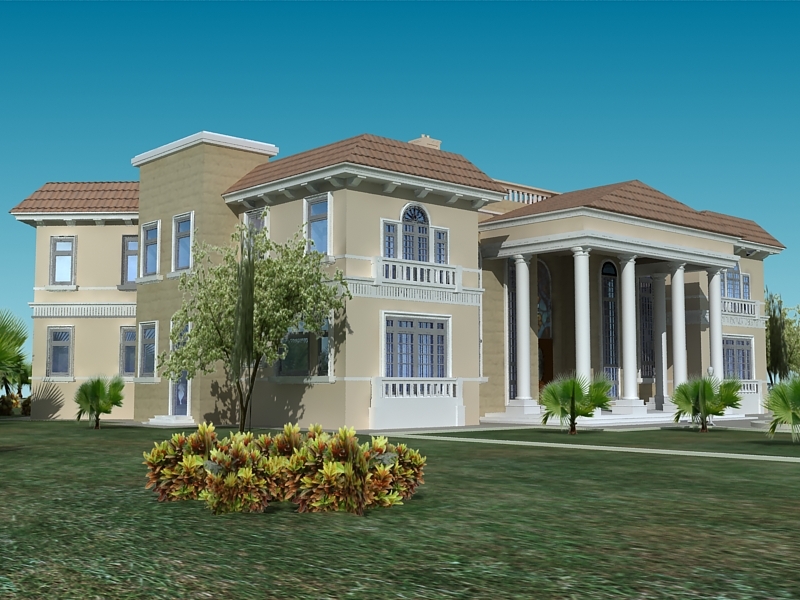 We were commissioned to design the Elevations only. As the plans were already done, and owner experienced slow sale. We were happy to see the building sold after our work was published. 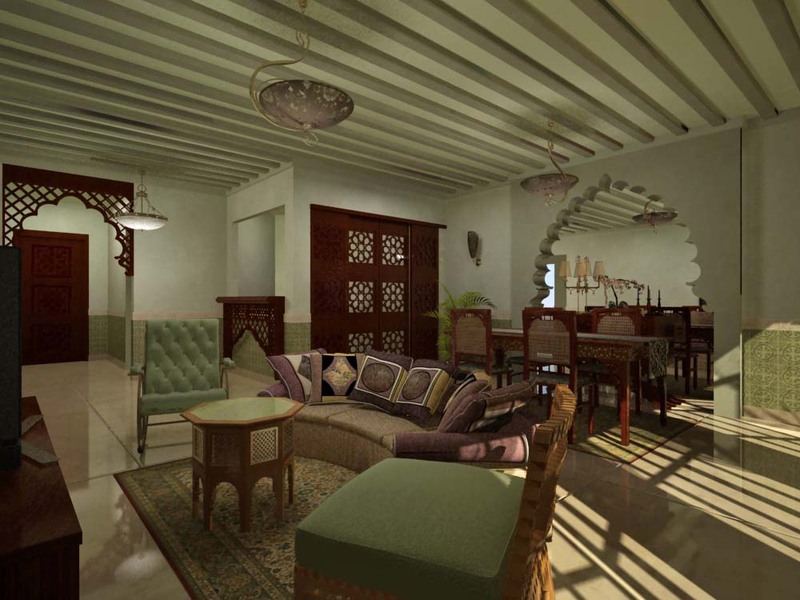 A Moroccan style chalet at Hurghada. 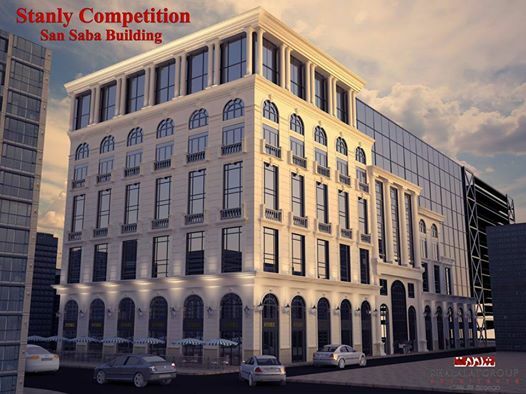 The Chamber of commerce of Alexandria held an architecture competition to build a new headquarters instead of the old one in down town. We received an honorary prize. 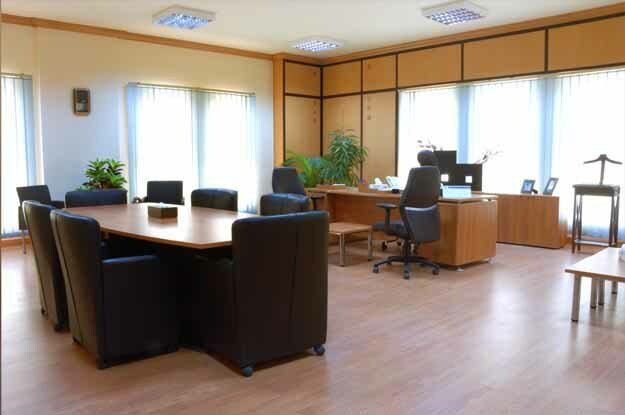 The main characteristic design theme was a to separate the chamber offices from the leased spaces and provide a panoramic view for all spaces over the Antoniadis gardens. 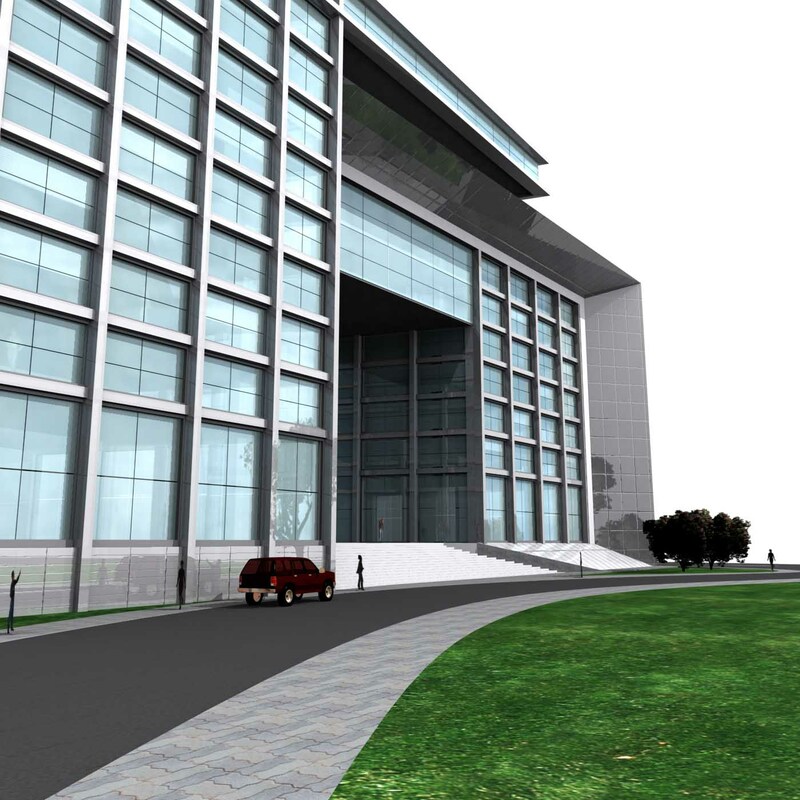 The building is elevated on steps and ramp allowing a big conference hall under it. At the roof garden there is a hotel and restaurants. 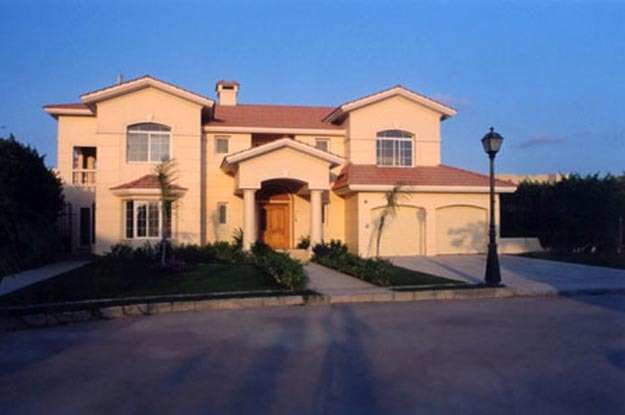 A Residential Single Family House with Pool, inside a gated community. The pitched roof is not only enjoyed from outside, but more from the inside as well. The city hall contains the main council chamber as well as other administrative offices. The symmetrical 2 wings of the building as if opening its arms welcoming and inviting city visitors. The building is centered overlooking other plaza activities such as open amphitheater, museum and others. 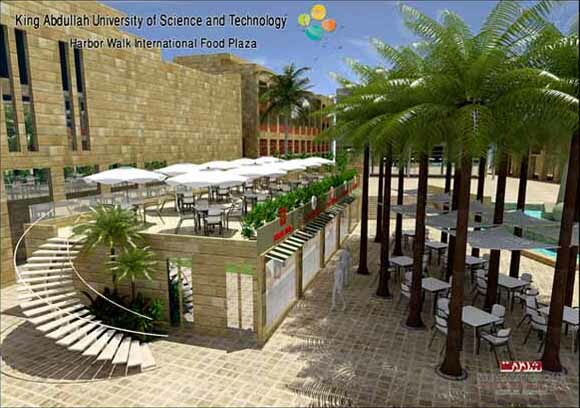 The location of the project is within KAUST campus at Thuwal, KSA. 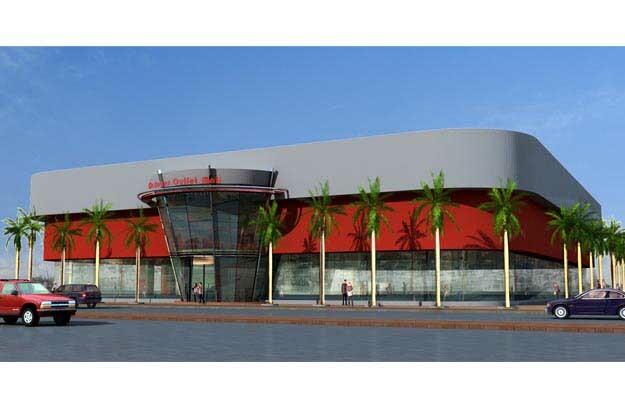 Five fast food shops representing 5 international types of food with a seating area at the roof in addition to palm covered seating area facing the shops. 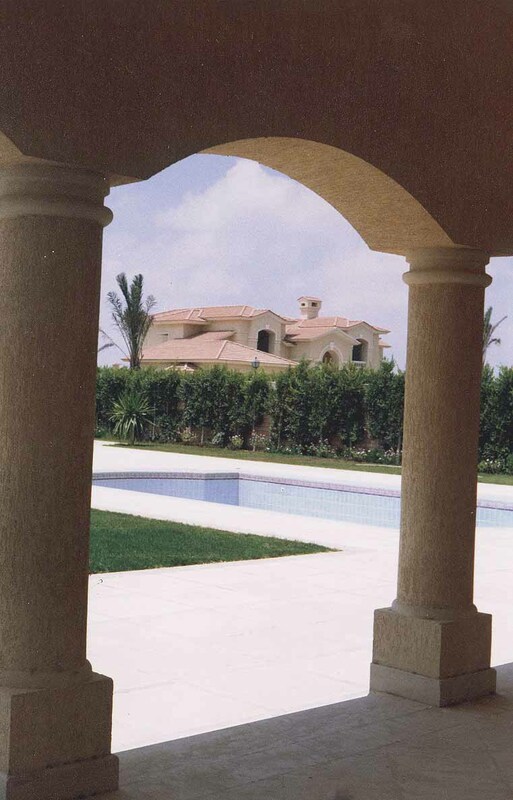 The grandiose entrance is complemented with vision line that extends all the way to the end of the garden passing through the main reception then the pool Most of the rooms are overlooking the pool and garden. 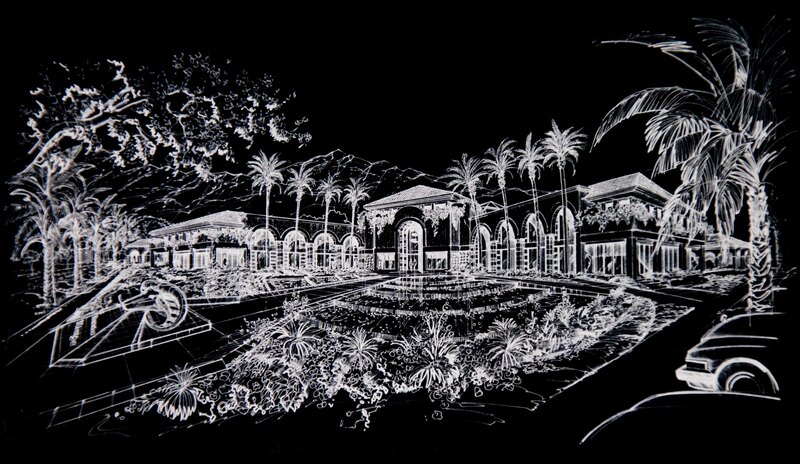 The L shape building in the back yard, the guest house and the landscaped fence with palm trees will form an enclosed private big court, with outdoor swimming pool in the middle as the main attraction. 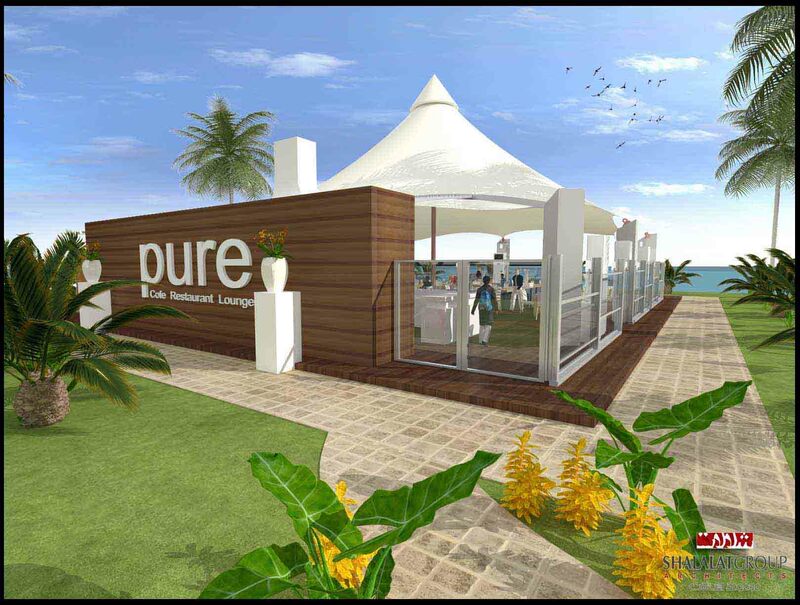 King Abdullah University for Science and Technology (KAUST) intents to design branded restaurant, lounge and cafe, a mixed concept called pure. 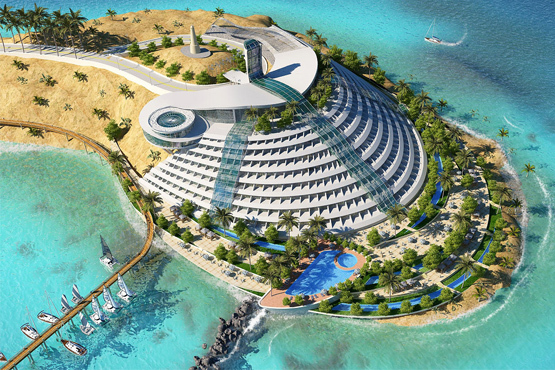 Pure will be located as part of Island Recreation Center in KAUST at Thuwal. 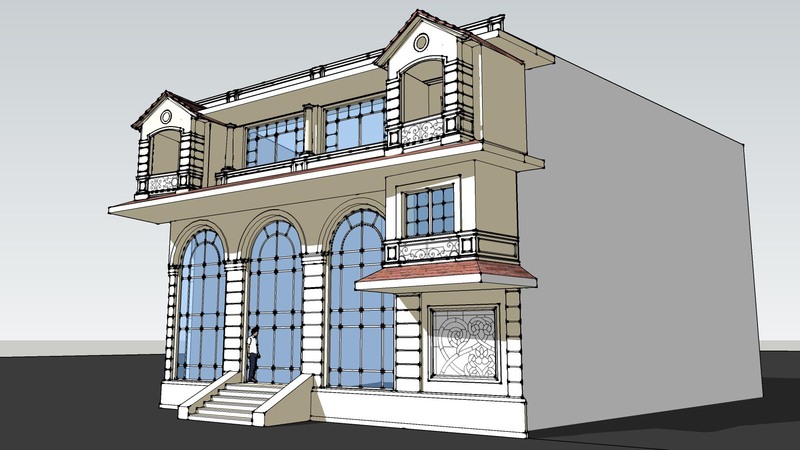 SanSaba Building is located in one of the most sensitive areas in downtown Alexandria. Downtown Alexandria retains traces of the successive cultures that have occupied and transformed this place for over 3000 years. 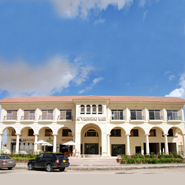 The building is a mix of administrative, commercial and entertainment. 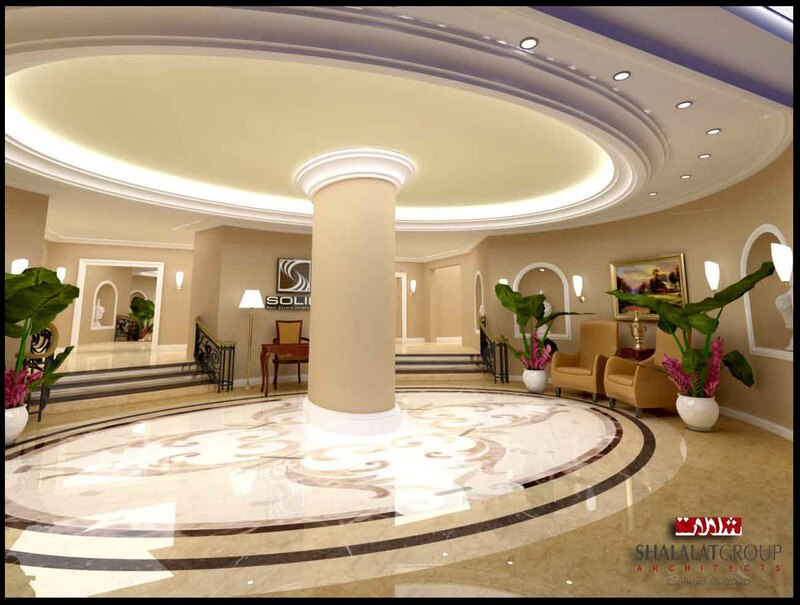 Our concept is to maintain and respect the architectural style of the area, while providing a subtle transition to the modern one. 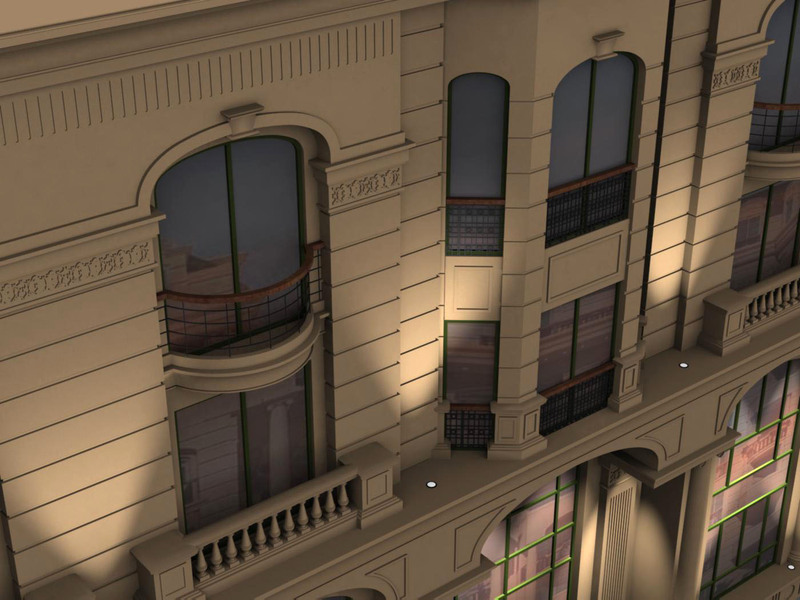 We intended to show the building as a five floors, while it is ten floors. 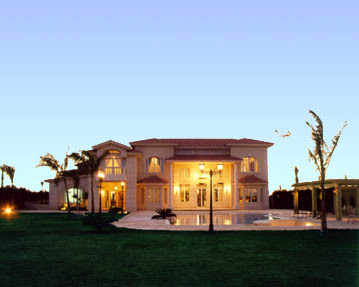 This residential house has 5 suites and 2 pools, one indoor and the other outdoor. A spacious house with an award winning audio video room. 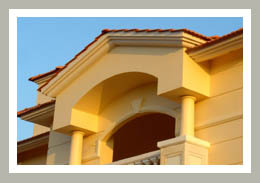 The Tilted roof is enjoyed more from the inside as it created comfortable spacious rooms. 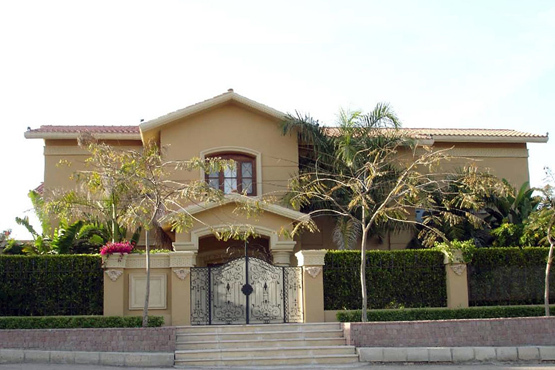 A single family house inside a gated compound in Alexandria. 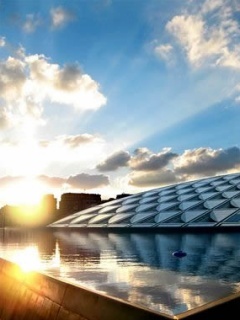 Alexandria retains traces of the successive cultures that have occupied and transformed this place over 3,000 years. 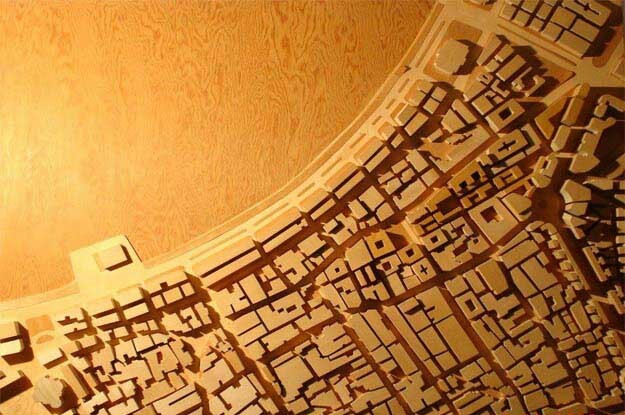 This project proposes the renovation of the remains of one of these cultures, the 16th century Turkish town. 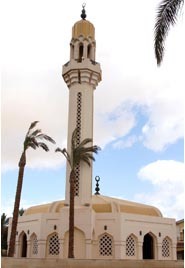 Turkish Center is distinct district which connects the central plaza and Mosque of Abou El Abbas and the commercial center of the modern Alexandria on the south. This Project proposes the rebuilding of the quarter while retaining the essential character and vital spirit of the important Marketplace. 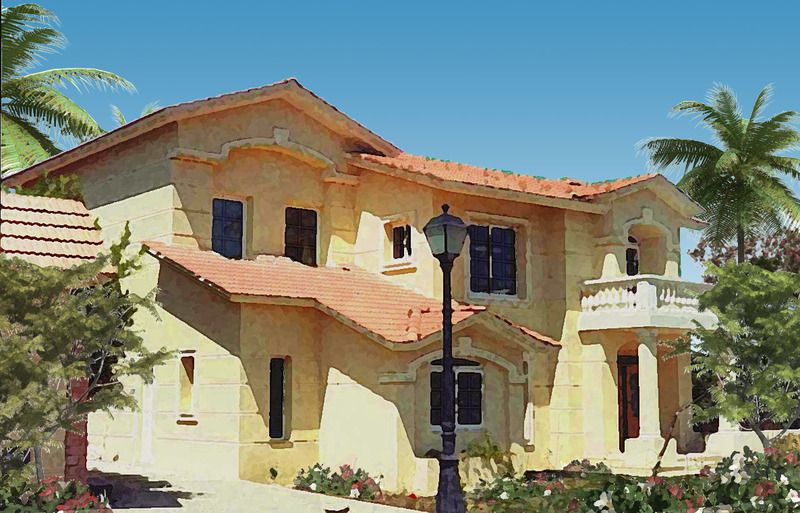 The client requested a small house that looks big…! So we designed each building with 2 town houses, while the house is small, a nice backyard is provided. The house was built on the lower left corner of the lot leaving garden space on the right and pool and tennis court on the top. The pool and garden view were brought in through large sliding glass doors in the reception and dinning. Second floor bedrooms has high pitched ceiling to avoid the summer heat. 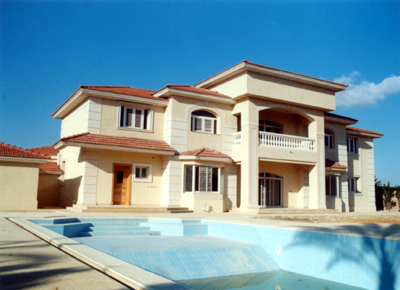 We were commisioned to redesign this house after the completition of the concrete work. So we basicly made a face lift, and the interior design. It is under construction now. 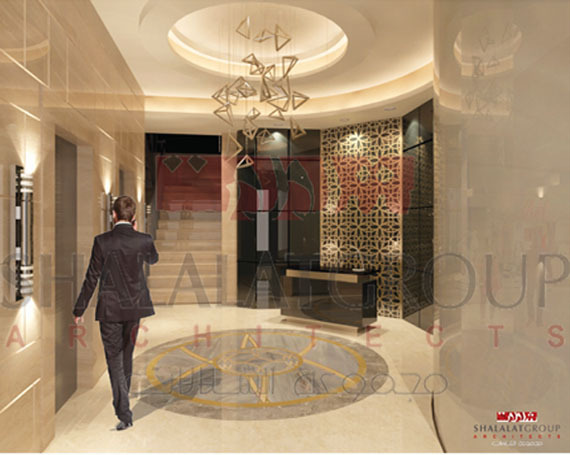 One of the unique entrances in residential building in Alexandria. The existing middle Column was used to create this Symbolic Tree to unify the space. Marble and wood are the only materials used. 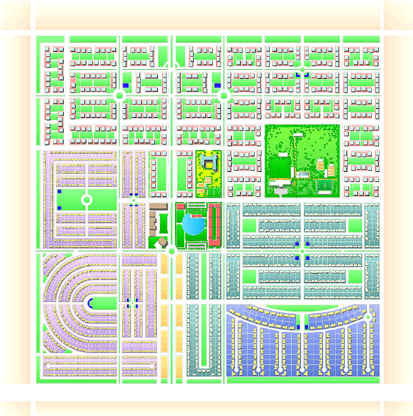 A family complex includes 4 houses and their services, horse track and tennis play grounds. 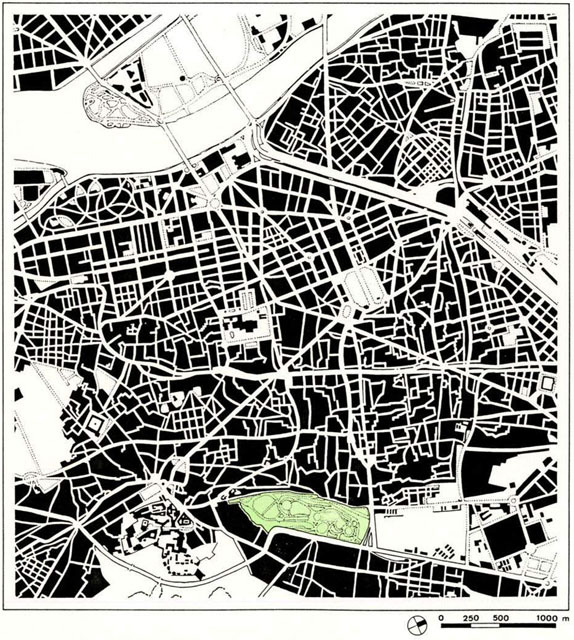 "City Plans & Places" is a book about old cities showing figure ground plans of the city. 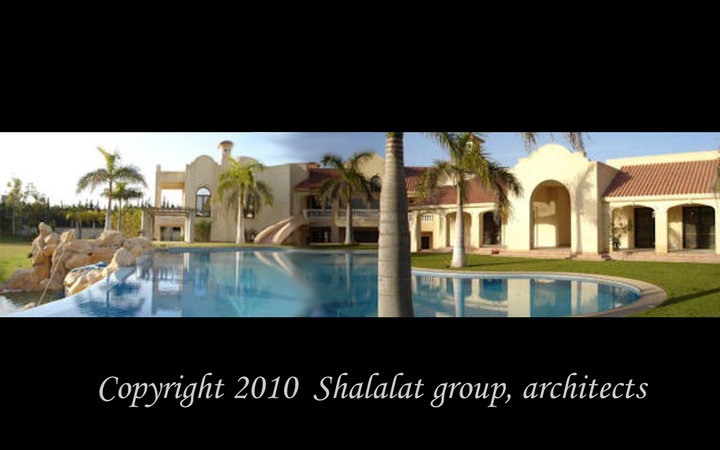 Mid 1998 the Borg El Arab Chamber of commerce held an invited architecture competition to build its headquarters. The competition was canceled later. 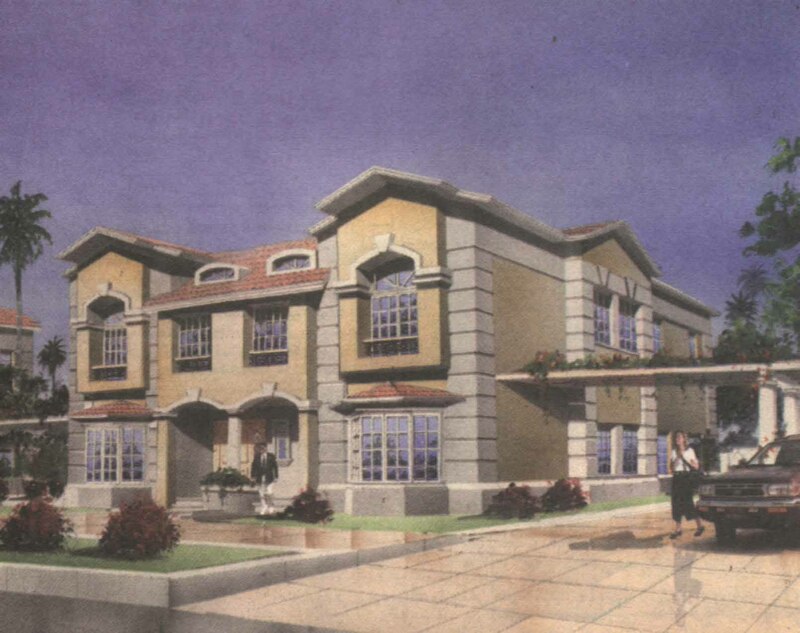 2 Story Office Building in Fermont, California. A plan resembles a square, with spiral stairs in the middle with large skylight above. Front street windows are mirrored in the back yard. All the offices enjoy all day natural lighting. Parking is provided at the rear of the building. Mid 1997 the city of Alexandria held an invited architecture competition to build a new police headquarters instead of the old one in down town. The competition was canceled later, and then a governmental firm was commissioned. 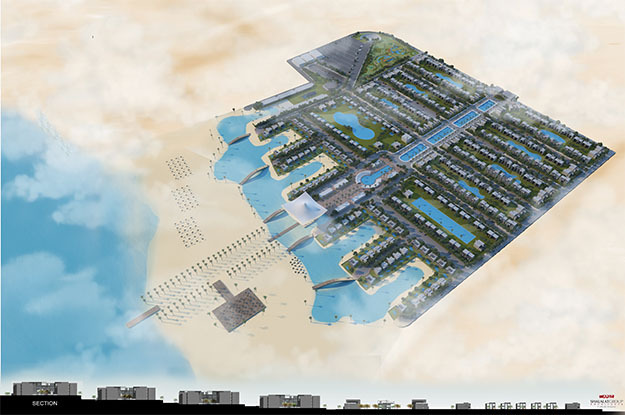 The main characteristic design theme was a symmetric, formal solid design that gives the building its security and stability it should provide the city of Alexandria. 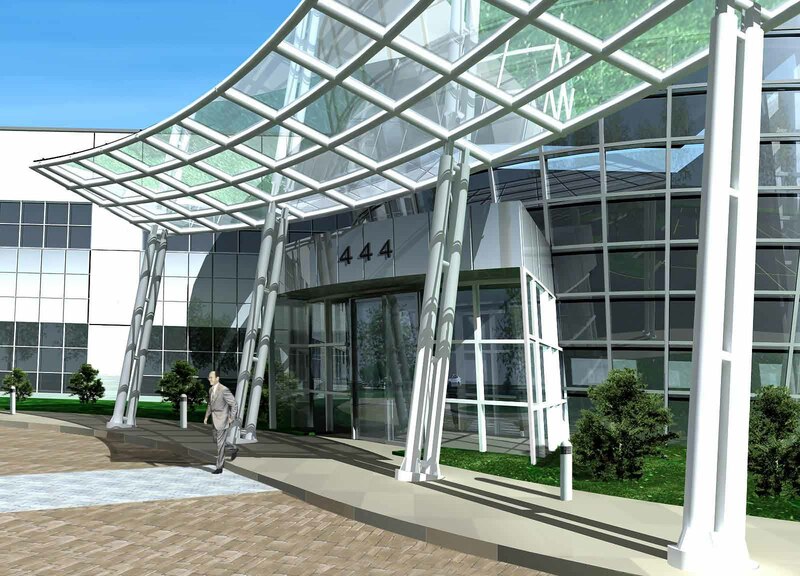 The building is elevated on a green ramp allowing controlled access to it. And the heart of the 2 wings acts as the center of city security. 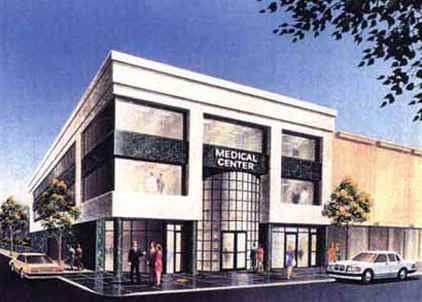 The building is equipped with a helipad and other facilities at the roof.